I’m on the Isle of Eriska, about 100-hectares of private island, owned since 1973 by the Buchanan-Smiths, but today part of the Rong dynasty from China. But there is no bemusing and, I would say, inappropriate, East-meets-West fusion here. 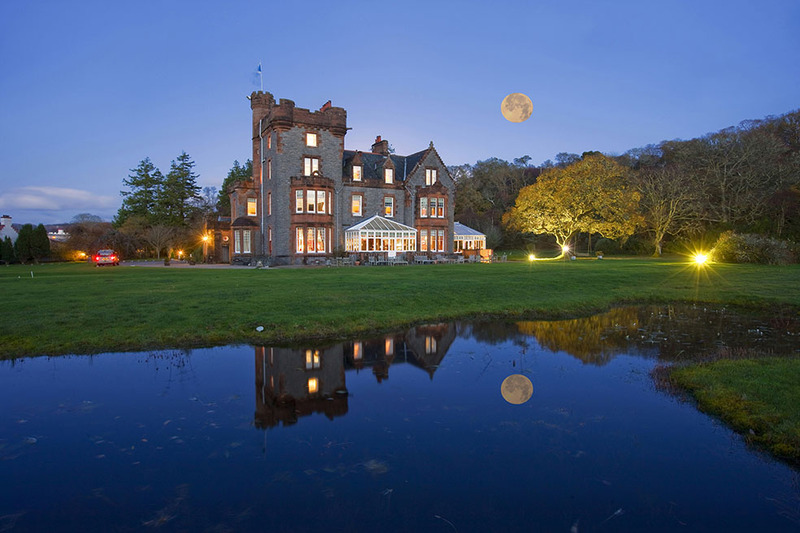 This is pure Scottish 19th-century baronial splendour, with accents on luxury and seclusion. Open-fired, oak-panelled guest areas are lush with enfolding, baggy furniture – comfy sofas and high-backed armchairs, while the flicker of candlelight on bottles of Vieil Armagnac and VSOP cognacs holds the promise of a fine end to an agreeable evening’s dining. Fine dining is very much part of our plan; chef Paul Leonard, late of Andrew Fairley at Gleneagles, retains the Michelin star earned by his predecessor Ross Stovold. But, intentionally arriving early, my wife and I head for lunch in the brasserie-style Deck Restaurant in the stables annex. What a delight! 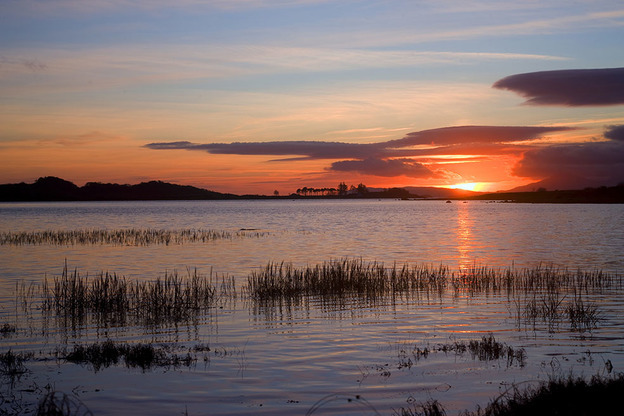 – inspiring, charismatic and a perfect example of all that is great about Scottish islands – and that’s just the view. Turn your attention to the menu, and it soon becomes evident that ‘Light Bites’ doesn’t mean sacrificing quality. Local produce rules here, from the salmon smoked on the island, Eriska fishcake salad, pan-fried plaice, burgers, rib-eye steaks and West Coast haddock, to the joy, for me at least, of fish finger sandwiches. Rooms in the main body of the hotel are a delightful mélange of shapes and sizes, influenced by the geometry of the original building. 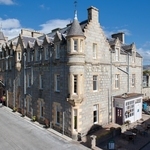 But each boasts a complement of facilities and services befitting a 5-star Highland location. Beyond the hotel, set on Macalpine’s Brae, six Hilltop Retreats offer an independence and seclusion that is unrivalled. Elevating self-catering to the nth degree, these wood-clad hideaways offer everything necessary for relaxation, privacy and insularity. 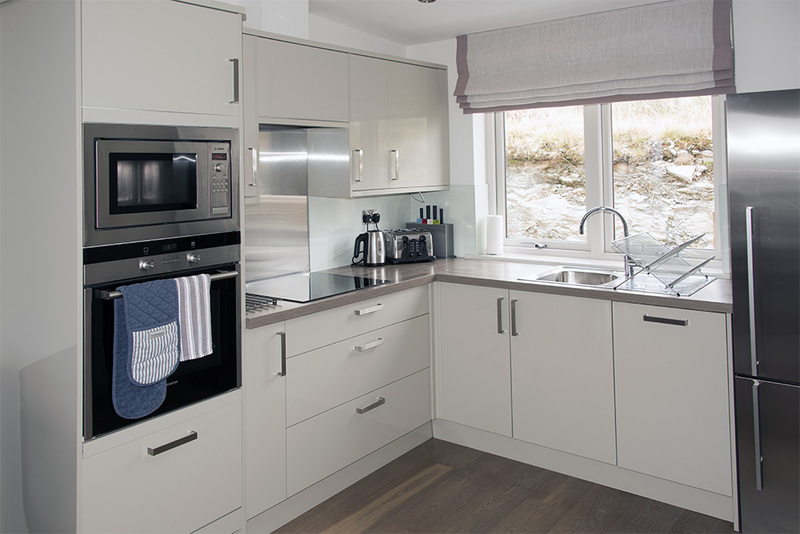 These are decidedly at the upper end of the market, not only in offering all the facilities and equipment that ought to be in every self-catering property, but in the quality and range of provision. Take a few examples that demonstrate thoughtfulness and attention to detail: private telephone line with free calls to all UK landlines and UK mobiles; a full Sky package on an LG Smart television; motion detector floor-level lights for those who need the bathroom during the night; rechargeable torch should you decide on a night-time stroll, and dedicated free Wi-Fi (increasingly de rigueur among serious accommodation providers). Combine that with a generous balcony complete with hot tub, not overlooked, should you decide on some aqua-relaxation or late night skinny dipping – we probably shouldn’t at our age, but we did. There’s a bright and spacious Porcelenosa bathroom with Morton Brown toiletries, fully equipped kitchen (an increasingly rare experience), and a commodious sitting room. Underfloor heating ensures the rooms are always comfortably warm. The furnishings – large comfy sofas and chairs, desk, real effect fireplace, and several acrylic landscape paintings by Glasgow-born contemporary artist John Lowrie Morrison – lend an ambiance that is comfortable, tranquil and pleasing. They provide all the ingredients for soothing days and nights. Anyone wanting a break from domestic chore or the endless permutations of home-made spagbol would do well to consider the restaurant in the hotel, a leap into the realms of fine dining that is worth at least one throw of the dice. Here, two menus await. One a conventional À la Carte menu; the other the increasingly popular ‘Tasting Menu’. Some of the À la Carte offerings change daily, according to availability. These included salt-baked Crapaudin beetroot, cured Loch Creran salmon, ravioli of chicken, Isle of Skye langoustine with razor clams (spoots, they call them here), Mallaig-landed cod with pot-roasted cauliflower and Isle of Harris mussels. I question the need to go so far as the Outer Hebrides for mussels, when there is a mussel farm at Inverlussa on Mull, and delicious oysters, should they be needed, at Croig on the north coast of Mull. This confusion of provenance occurs again on the tasting menu, which features halibut from the Isle of Gigha, roughly equidistant with Mallaig. At least the cured Loch Creran salmon hasn’t had far to come. And the venison, served tartare with pickles and sourdough, may well have been related to some I noticed shifting like shadows through the birch cover. But these are minor considerations – it is, after all, a taste of Scotland – and they impact not at all on the quality of the food and the inventiveness of the kitchen brigade. The wine list, too, is sensibly priced, offers some wines by the glass, and several half bottles, which allows you to do your own wine pairing. 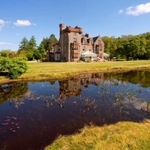 The emphasis on Eriska is away-from-it-allness, luxury and seclusion. The Hilltop Retreats allow self-catering, if that is your preference, while the hotel oozes baronial good taste; there’s even one independent self-catering cottage, with the promise of more to come. 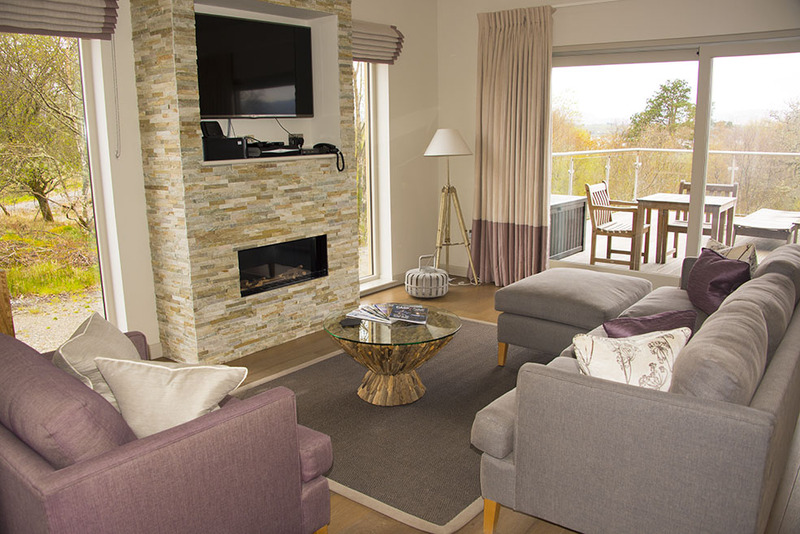 Read Andy Mossack’s review of the main Isle of Eriska Hotel here. 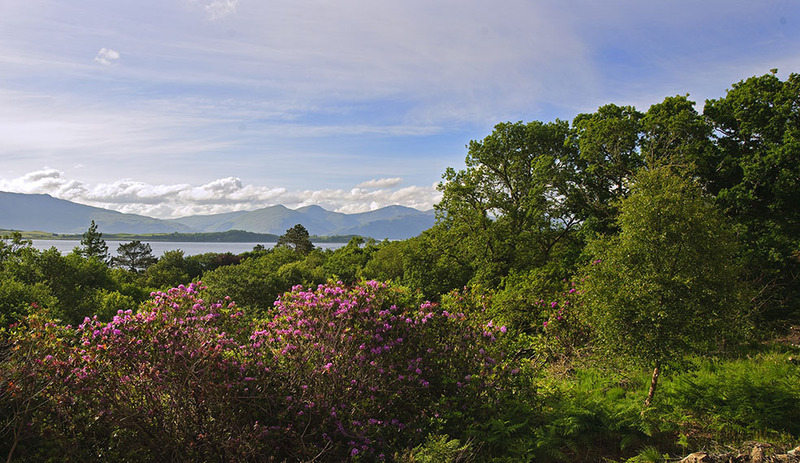 The Isle of Eriska is located at the mouth of Loch Creran in the heart of West Argyll, approximately 12miles north of Oban and 40 Miles south of Fort William. The hotel and its retreats are best reached by car. The closest airports with car rental facilities are Glasgow International (90 miles) and Edinburgh International (110 miles). For private aircraft, Oban Airport is just off the A828 by the village of North Connel, 5 Miles from the hotel. De Luxe rooms in the main hotel are up to £450, dinner, bed and breakfast per night, based on two sharing, with seasonal reductions subject to availability. A 3-night self-catering break in one of the sumptuous Hilltop Retreats costs £300 per night. 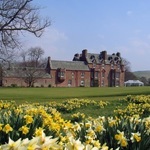 For a 7-night break, this reduces to £257 per night. 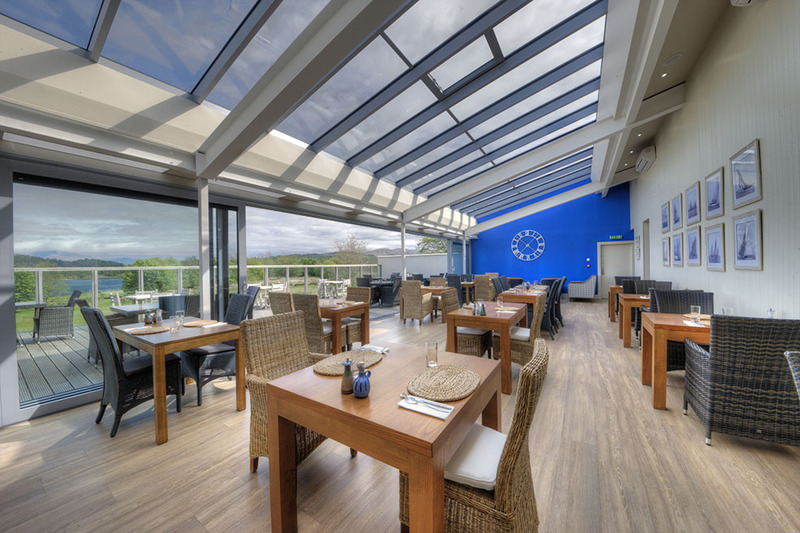 Optional extras for those staying in one of the Hilltop Retreats include a cooked breakfast hamper, or breakfast in the hotel; lunch or afternoon tea in the Deck Restaurant; dinner in the main hotel restaurant; spa treatments; hire of sports equipment; a private chef.